In Android, styles provide a simple mechanism to change look and appearance of the widgets which is equivalent to CSS in web. If we need to change the appearance of a single view ( edittext, textview, button ) then styles are used. If we need to change the appearance of the all the views in an activity or an application, then themes are used. How to define a style and apply to a view? Style definitions are written in an XML file and stored in the directory “res/values”. The xml file can have arbitrarily any name. The root element of the xml file will be named as resources. The given below figures shows an EditText widget with the style “venus” applied. Figure 1 : EditText widget with the style "venus"
The given below code shows how to apply the style on an edittext widget. In a layout file, a style is applied on a widget using “style” property. We can create a new style from an existing style using inheritance. In the given below example, the edittext widget uses a style name “venus.center” which is being inherited from the style “venus”. Here “venus.center” will have all the properties of “venus” and the properties defined in “venus.center”. 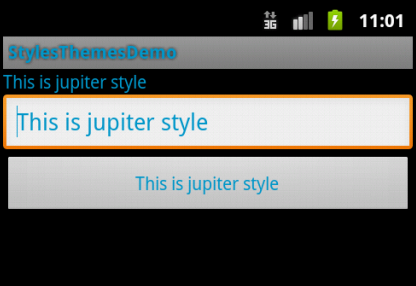 Figure 2 : EditText widget with the style "venus.center"
In the previous section “Style Inheritance in Android”, we have seen that, how to create a new style from the existing user defined style. 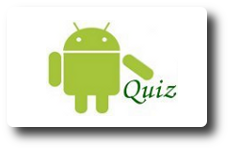 In this section, we will see how to inherit styles defined by Android. For inheriting Android defined styles, we will make use the property “parent” in the “style” element. In the given below figure, the edittext widget inherits Android’s “TextAppearance.Small” style. How to create and apply a theme? A theme is nothing but a style which is applied on activities or application. Or in other terms, a style applied on an activity or an application is called a theme. The given below is an activity screen with the theme ( style ) “jupiter” applied. Note : It is important to note that, the textColor property of EditText and Button are set via editTextStyle and buttonStyle properties respectively. Now let us see how to apply the theme “jupiter” to an activity. In order to apply a theme to an activity add the property android:theme with its value as @style/jupiter to the activity element of the AndroidManfiest.xml file. If you want to apply this theme to the entire application, add the property android:theme to the application element of the AndroidManifest.xml.